Blog Ep 243: Did Your Therapy Really Work? Ep 243: Did Your Therapy Really Work? If you have been in therapy you want to believe it “worked”. We all do. And hopefully it did have a positive effect on you. But how do you know? How do therapists know if what they’re doing really has resulted in improvements in their clients? Yes, we have controlled studies for many treatments which give us confidence that these techniques really do help people, but we also have a lot of “therapeutic” techniques that have not been thoroughly tested. Nonetheless, lots of amazing claims are made for their effectiveness and no doubt the people who provide these therapies really do believe that they work. But let’s step back and look critically at what we’re doing. We must be willing to look critically at what we’re doing as therapists or healers of any type: are you really helping people or are you just picking and choosing the “evidence” that you think indicates success? Do you just want to believe because you work hard at what you do, or because you make a lot of money at what you do, or because some of your clients have said really positive things? How do you know if psychotherapy actually worked for you? 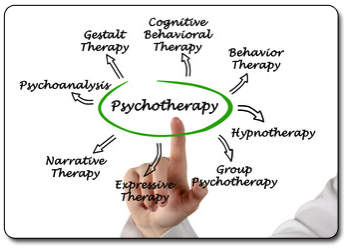 In this episode I discuss some of the excellent points made in an article entitled, “Why Ineffective Psychotherapies Appear to Work…”. Prepare to be made uncomfortable. Long-time listener (through my BA, MS, and now PhD programs in psychology) writing in. Thanks for the show! I appreciate your attention to the important areas of therapy effectiveness and efficacy. I agree fully that psychologists have the responsibility of assessing how well or poorly therapeutic interventions perform in order to best serve the public. 1) I was concerned by the lack of distinction made between well-established, empirically supported treatments in contrast to some of the new (possibly pseudo-scientific) interventions you mentioned in the beginning of the episode. While all therapies should be subject to the same critical eye, it is important to acknowledge the differential state of the literature. 2) The effectiveness of therapy, in general, is very well supported (see http://www.therapytoday.net/article/show/212/the-facts-are-friendly/ and Mick Cooper’s book by the same name for more). Yes, therapy research is hard– but we’ve been working at it for decades and the effects are robust. 2a) The validity of and inferences drawn from therapy research is certainly subject to the threats you mention (e.g., confirmation bias, maturation, expectation/hope/placebo effects). Well designed research (which is possible and conducted regularly) is conducted in a manner cognizant and preventive of (to the extent possible) to these threats. 3) You raise a question about achieving higher levels of insight during therapy but does that actually mean change for the client/patient? From the lens of some psychotherapeutic systems (e.g., psychodynamic) insight is regarded as a goal of therapy in its own right (and this is consistent with many clients’ own desires “I want to know what’s going on with me!”) and is theorized to affect behavioral/emotional change. My concern is that listeners may come away from this podcast with a bleaker view of our knowledge of psychotherapy than is warranted. In fact, while there are many unanswered questions (“which therapy works for whom under which conditions and how?”), we’ve had a fairly clear sense that well-established therapies are effective for quite some time (e.g., http://psycnet.apa.org/journals/amp/32/9/752/ & http://psycnet.apa.org/psycinfo/1994-18340-001). Of course, just because therapy has been demonstrated to be effective overall is by no means justification for saying it will work (or has worked) for an individual (or that therapy is never harmful or ineffective). That is a very different question and can be assessed via case studies or other n = 1 designs. In my opinion, the best way to evaluate if therapy is effective for you is to keep a journal and/or log of symptoms and change efforts to review along the course of therapy. Always maintain an open dialogue with your therapist about what is and is not working– it is their job to be responsive to you as an individual and make changes as necessary to serve you best. If they are unable to provide a treatment that works for you, you are well within your rights to find a new provider who may better address your concerns. Hi Michael, I have always enjoyed your shows. I am glad that you are still doing your podcast. I am very interested in psychology. I have been in therapy for a number of years. In my case and opinion, I find it to be helpful. It is important to have a realistic view of what you think therapy will help you achieve. I will say that being involved with it over the years my life is better off than if I would not have had it. I have grown to be a more mature adult because of the input of my therapist as well as the work that I have done on my own in between sessions such as reading self-help books, as well as my own person faith / belief system. What I learned is that I needed to listen to myself and not just those in authority / power positions. Perhaps an unrealistic belief one may have about therapy is that I go to the therapist and he/she will solve all my problems and my life will be wonderful! 🙂 I think therapy is a partnership. The client must do the work! The therapist is like a coach. Previously I was too dependent on people in leadership / power positions. I hope I made sense here. You make a LOT of sense here Esther. In fact, I don’t know if I could have said somethings you said any better. I completely agree: “It is important to have a realistic view of what you think therapy will help you achieve….I have grown to be a more mature adult because of the input of my therapist as well as the work that I have done on my own in between sessions….Perhaps an unrealistic belief one may have about therapy is that I go to the therapist and he/she will solve all my problems and my life will be wonderful!” Like you, I have learned a lot in therapy – sometimes not the most wonderful things about myself, but certainly things I needed to face and to try to do something about. It’s definitely a learning experience. No quick cures. Thanks so much for your comment. one questions we must ask is after around 100 years of clinical psychology and now over 1000 variations on ‘therapy’ along with hundreds of psychiatrists so called ‘mental disorders’ along with dozens of drugs are we better, getting better improving – clearly – not the WHP predicts that by 2020 the social disorder of depression will be the biggest cause of suffering on earth – yet we keep spewing the same rubbish stuck in self-interest into the culture.